WOOLWORTHS 2019 BRUNY ISLAND JUNIOR AND OPEN LONGBOARD CLASSIC-Presented by Red Herring Surf. The popular Woolworths Bruny Island Junior Shortboard and Open/U18 Longboard Classic is on again for 2019.Competitors will be surfing for ratings towards 2019 Red Herring State Championships and State Team selections. Memberships last 12 months from signing up so ALL STAS competition members will need to check their membership and renew it for 2019 to enter Championship Events when necessary.Once you have set up your PROFILE in the new website this will be clearer from here on. Contact me/Shayne directly if you are unsure. DO NOT set up a new Profile each time you enter an event as this causes issues with your access. CONTEST DIRECTOR: Eddie Lawrence/Ange Nordstrom. CONTEST HEAD JUDGE: Johnno Nordstrom ( Level 2 Judge) and panel tba. 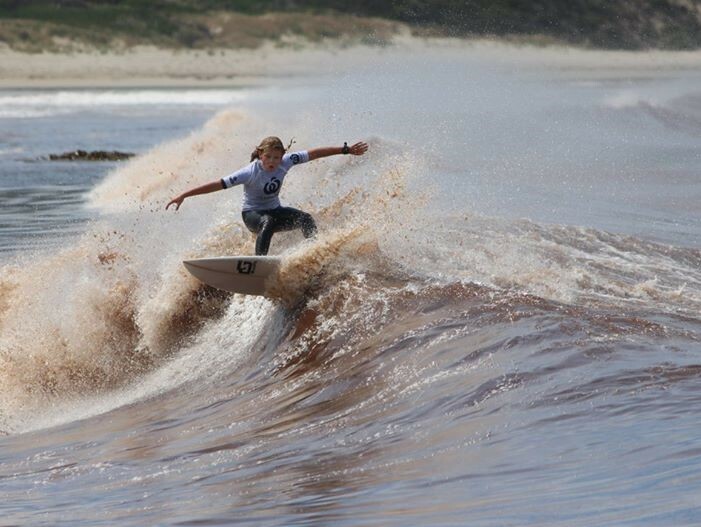 FORMAT: Surfing Tasmania offers all junior events as Double Chance Format where possible. Should conditions be difficult in terms of conditions and/or timing, STAS and the Contest Director may revert to an alternative format so the event can be completed in time on the set weekend. FERRY SERVICES: Although it is still peak holiday time and those travelling should allow time to make the ferries. In 2019 a new Ferry Service/Timetable will offer additional sailings. Check the following link for details. FURTHER INFORMATION: Shayne Clark, Executive Officer, Surfing Tasmania- 0429891102. Check the Surfing Tasmania Facebook page as STAS post weekly news and up dates on events etc. Just go to the EVENTS and MEMBERSHIP links on the homepage. Competitors can only enter a maximum 2 shortboard divisions. Your first division will cost $35 and your second $15. Competitors must be under the specified age as at Dec 31, 2019. This is a round of the 2019 Red Herring State Championships and competitors will be competing for ratings points for state team selections and championship honours. All competitors, members, officials etc are subject to Surfing Australia's Code of Conduct as per the Surfing Australia Rule Book and Surfing Tasmania policies.